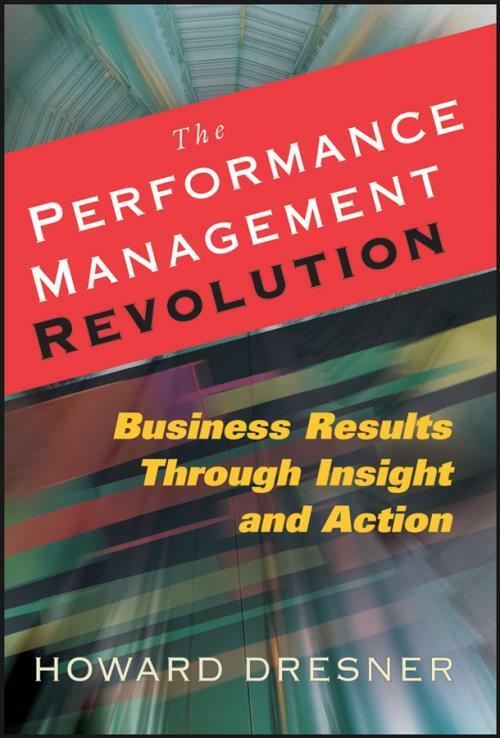 "Of all the business people I know, Howard Dresner has some of the deepest insights into the practical implications of the performance management revolution. In this eloquently written book, you′ll see how Dresner′s perspective on business performance and his concept of Information Democracy have profound implications for the way your company can operate." "This lucid and engaging book offers great insight into strategies and practical approaches that any company interested in improving its business performance and accountability could adopt. Filled with specific examples, it is essential reading for leaders at all levels of an organization serious about getting it right." "No surprise, Howard Dresner has it right: as the global competition heightens, corporate hierarchies flatten, and companies increasingly compete on speed, organizations need to embrace the discipline and art of performance management to keep apace. This book is a must–read for business and technology executives who want to help their organizations (and themselves) thrive in the years ahead." Part I. A Call to Arms. Chapter 1. The Need for Change. Chapter 2. A Model for a Modern Management System. Chapter 3. The Role of BPM. Chapter 4. Barriers to BPM Adoption. Part II. Preparing for Battle. Chapter 5. Draw an Accountability Map. Chapter 6. Achieve Information Democracy. Chapter 7. Build a BPM Center of Excellence. Chapter 8. Standardize and Consolid ate BPM Tools. Chapter 9. Deploy a BPM System. Chapter 10. Comprehensive View of Performance Management. Part III. Let the Revolution Begin. Chapter 11. Determine Your Immediate Priorities. Chapter 12. A Model BPM Methodology.